The Beatles were one of the most popular Rock & Roll music groups of all time. The band consisted of John Lennon on guitar, Paul McCartney on bass, George Harrison on additional guitar, and Ringo Starr on percussion. The band flourished in the early- to mid-1960s, growing a passionate following and fan base based upon a global phenomenon known as “Beatlemania.” However, the Beatles began to break-up during the late 1960s, dissolving the group by the end of the decade. The band’s break-up was a long and tumultuous process that developed over a number of years in the late 1960s. The sole cause of their break-up has continuously been debated by modern music critics and popular culture scholars. However, there wasn’t just one cause as to why the band eventually broke up. Rather, the band’s eventual break-up was a cumulative process created by a series of conflicts and setbacks.During the band’s formative years, the Beatles were constantly recording new music, traveling, and touring. The manager of the Beatles, Brian Epstein, acted as a form of mediator during these stressful times, handling the group’s finances and settling disputes among band members. However, Epstein’s role as manager increasingly diminished as the Beatles decided to stop touring in autumn 1966. Though Epstein would still oversee many of the group’s activities in 1967, many close to him claimed that he began showing signs of depression. According to Brian’s friend, businessman Peter Brown (in his memoir The Love You Make: An Insider’s Story of the Beatles), Epstein supposedly wrote a suicide note with the words “This is all too much and I can’t take it any more” in it around this time. Epstein suddenly died of a medical drug overdose on August 27th, 1967 at the age of 32. but many believe his death was accidental. Beatles guitarist John Lennon revealed “I knew that we were in trouble then” after Brian’s death. In Deborah Geller’s book The Brian Epstein Story, Beatles bassist Paul McCartney said that “If anyone was the Fifth Beatle, it was Brian.” Each Beatle had their own relationship with Brian, and his death had a profound impact on each member of the band. Epstein’s death left an empty void in the group and the band never fully filled that missing interval again. After Epstein’s death, the band was left without formal management, resulting in each group member fighting for control over the band’s ensuing direction. Epstein’s death marked the beginning of a slow end to the Beatles. The Beatles’s eighth album, Sgt. Pepper’s Lonely Hearts Club Band, was released in late May 1967. The album served as the band’s first record that was released after their touring hiatus began. The album also arguably marked the artistic, experimental, and musical peak of the Beatles. Ideas regarding the album’s concept and musical direction was largely conceived by Paul McCartney in November 1966 and Sgt. Pepper’s Lonely Hearts Club Band served as the beginning of his ascension to the role as the band’s dominant creative force. McCartney would go on to control most of the Beatles’s artistic and musical direction. McCartney sought to create mostly positive pop songs whereas John Lennon, George Harrison, and Ringo Starr wanted to write their own songs with a multitude of moods and messages. McCartney was also critical of the other members and their playing habits, playing their instruments himself and critiquing their performances. Harrison and Starr temporarily took their own separate breaks from the Beatles throughout late 1968-early 1969. During the early 1969 Let It Be sessions recorded for the motion picture of the same name, George Harrison even snapped back at a demanding Paul McCartney, conceding that “I’ll play, you know, whatever you want me to play, or I won’t play at all if you don’t want to me to play. Whatever it is that will please you… I’ll do it.” McCartney also wanted a “stripped back” sound for the songs recorded in late 1968-early 1969. 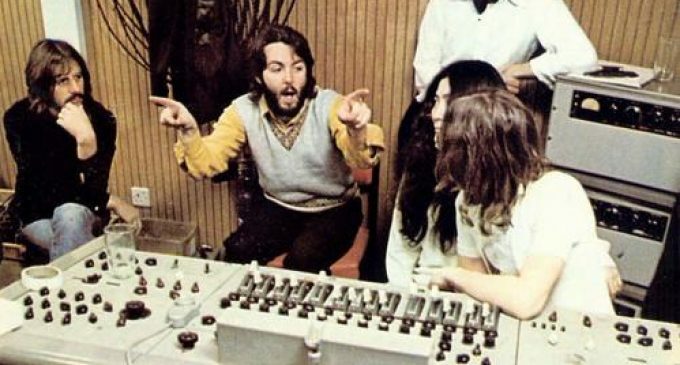 In contrast, Lennon, Harrison, and Starr wanted Beatles songs to sound grand and proper with elaborate orchestrations in the “Wall of Sound” production methods of Phil Spector. 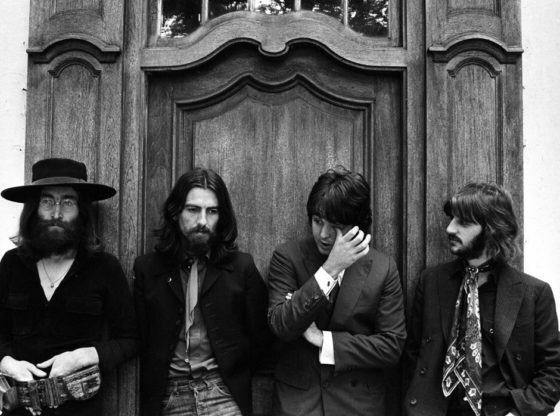 “The Long and Winding Road” was a key factor in the Beatles’s break-up because the writer of the song, McCartney, wanted a simple ballad but Spector added elaborate instrumental overdubs to the finalized result. McCartney swore never to work with a producer other than their original one, George Martin, again and ultimately influenced him to produce their final album, Abbey Road. Around this time, Lennon and McCartney both increasingly also felt threatened by the emergence of Harrison and Starr as songwriters. The Beatles at the release party for Sgt. Pepper’s Lonely Hearts Club Band in mid-1967. Notice that Paul McCartney (far left) is the only Beatles member without a mustache, looking off in the distance as if disillusioned by the album already. John Lennon and Paul McCartney were the Beatles’s primary songwriters for a number of years in the early 1960s. Collectively known as Lennon/McCartney, the duo wrote the majority of the Beatles’s catalogue. From the group’s origins in 1962 up until about 1965, Lennon and McCartney wrote most of the tracks on a typical Beatles album with a few covers, leaving George Harrison to write one or two songs per album and writing a song for Ringo Starr to sing. When the band’s seventh album Revolver was released in 1966, George Harrison began maturing as a songwriter, penning three songs (“Taxman,” “Love You To,” and “I Want to Tell You”) for the album. Albeit Lennon and McCartney only allowed George’s songs “Within You Without You” and “Blue Jay Way” to appear on Sgt. Pepper’s Lonely Hearts Club Band and Magical Mystery Tour respectively in 1967, Harrison bloomed as a songwriter in 1968, composing “The Inner Light” (which was released as the B-Side to the Beatles’s #1 hit single “Lady Madonna”) and four songs for the band’s ninth studio record The White Album (“While My Guitar Gently Weeps,” “Piggies,” “Long, Long, Long,” and “Savoy Truffle”) in that year alone. Harrison even was the first Beatle to release a solo album with his Wonderwall Music, released three weeks prior to The Beatles’s White Album. Despite his emergence as a songwriter, Harrison felt alienated from the rest of the Beatles due to Lennon/McCartney’s continuous rejection. By spring 1969, Harrison wrote “Old Brown Shoe” (which was launched as the B-Side to the Beatles’s #1 hit single “The Ballad of John and Yoko”) and also composed two songs (“I Me Mine” and “For You Blue”) for the band’s Let It Be album. In summer 1969, Harrison reached his peak as a Beatles songwriter, composing the popular hits “Something” (which was issued as a B-Side to the album’s lead single “Come Together”) and “Here Comes the Sun” for their final album which was entitled Abbey Road. “Something” was the second-most covered Beatles song, with Frank Sinatra deeming it “the greatest love song ever written” whereas “Here Comes the Sun” also received critical acclaim. After the Beatles broke up, Harrison released his critically acclaimed 1970 record All Things Must Pass, his solo triple album that comprised of 23 songs, many of which Lennon/McCartney may have refused to use on a Beatles album. Additionally, Ringo Starr began writing music of his own from 1968 onwards, penning The White Album‘s “Don’t Pass Me By” and Abbey Road‘s “Octopus’s Garden.” The threat of a fourth songwriter in the group also put pressure on the legendary duo Lennon/McCartney, contributing to the band’s disintegration. 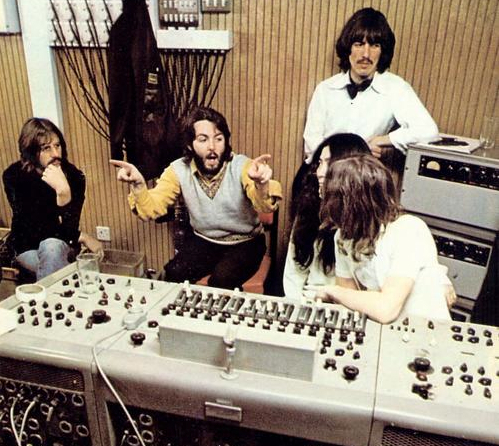 Ringo Starr, Paul McCartney (the only Beatles member wearing a full beard), George Harrison (standing in back), Yoko Ono, and John Lennon during the tedious Let It Be sessions in early 1969. The family lives of the Beatles were also a key factor to the group’s break-up. John Lennon originally had a baby with his girlfriend, Cynthia Powell in 1962. After Lennon left Powell in 1968, he met Japanese-American artist Yoko Ono at a 1968 art fair. The pair would marry in Gibraltar in early spring 1969 and remained married until Lennon’s tragic assassination in 1980. It is believed by many that John was so romantically involved with Yoko Ono that he deliberately put more effort into the development of his solo career when he was with the Beatles. Lennon would bring Ono to many of the band’s recording sessions in late 1968, much to the dismay of the three other Beatles because it broke the group’s original pact to forbid girlfriend access to the studio. Many today see Ono’s presence and Lennon’s subsequently altered mindset as a key factor in the break-up of the Beatles, but those were just a few of the plethora of contributing factors that contributed to the band’s separation. Paul McCartney dated actress Jane Asher from 1964-1965 and then married photographer/musician Linda Eastman in 1969. Paul and Linda McCartney played together in Paul’s subsequent band, Wings, and remained married until Linda’s tragic death from breast cancer in 1998. George Harrison, while on the set of the Beatles’s 1964 film A Hard Day’s Night, met film extra/model Pattie Boyd, eventually remaining married to her for eleven years from 1966-1977. Ringo Starr was also married throughout most of his Beatles tenure, serving as hairdresser Maureen Cox’s husband from 1965-1975. In Ron Howard’s 2016 documentary The Beatles: Eight Days a Week – The Touring Years, Paul McCartney said that, by the group’s fourth year in 1966, “we all kind of were very aware that we didn’t live in each other’s pockets anymore. We all had separate existences” whereas Ringo Starr claimed that the Beatles grew up, started families, and “put less energy into the Beatle band” during that time as well. On August 22nd 1969, the Beatles gathered for what was to be their final photo shoot together as a quartet. The Beatles looked as weary as they ever had before. Lennon was pencil-thin as a result of his drug addiction, Paul was trying his best to remain upbeat and put his best fake smile on, George was looking as if he’d rather be somewhere else, and Ringo was wearing a full beard similar to John and George. George Harrison (far right) walks ahead of the rest of the Beatles with their respective family members during the Beatles’s last photography session at Tittenhurst Park in August 1969. John Lennon was the first to permanently depart from the Beatles. During a band meeting (albeit without Harrison) at Apple Records on September 20th 1969, Lennon said that he wanted a “divorce” from the Beatles, similar to the one he had with Cynthia. Though McCartney and Apple music publisher Allen Klein claimed that everyone’s faces “went pale” upon hearing this, Starr claimed that he felt relieved after Lennon’s announcement because it helped officialize the break-up. Paul’s ensuing depression and arguments with Apple Records over the release date of his own 1970 solo album McCartney led him to publicly announce that he quit the Beatles in April 1970. Many fans thought Paul had left the group due to his familial commitment to Linda, unaware that the group had disintegrated over eight months prior, echoing the chaos and disarray within the band itself that led to the break-up of the Beatles.